It was once again an inspiring Division 95 I Spring Conference, held on Saturday 23 April 2016 in Ulm. There were lots of speech contests, keynote speeches and workshops, on a diversity of topics, which provided Toastmasters with a valuable learning experience. Congratulations to Nuremberg Toastmasters club member Marc Schuck, CC who finished third in the German Speech Contest as well as Erlangen Toastmasters club member Dorleta Gonzalez, DTM who was awarded first place in the English International Speech Contest. The conference kicked off with District 95 Club Growth Director Bea Binzce updating us on club growth in the District, which was followed by Christopher Magyar, who provided insights into the founding process of District 59 and the amazingly huge growth of Toastmasters in Europe, starting with 29 clubs in 1995 and increasing to more than 500 clubs in 2016. One of the workshops was held by Olga Kutsche – ‘Management vs Leadership: Attributes, Roles and responsibility’ who presented valuable ideas on how best to run our clubs. In short, the leader asks: What shall happen? The manager makes it happen! 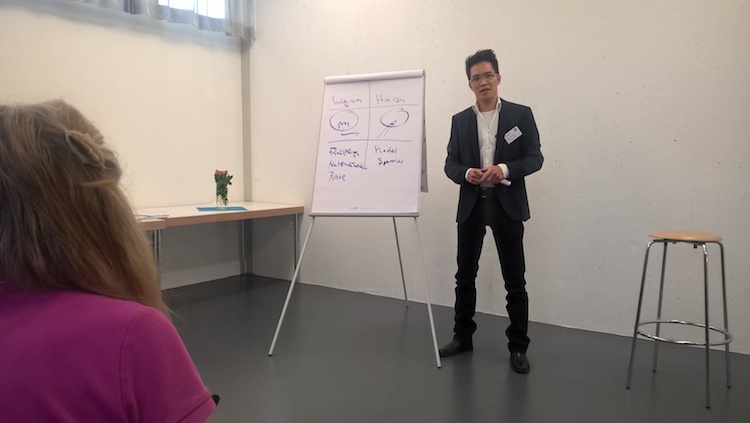 Nuremberg Toastmasters Club President Phuc-An Tran, CC, CL ran a NLP workshop which provided us with helpful steps and an easy to remember process to make our speeches more inspiring and compelling for our audience. Finally, Peter Zinn delivered the keynote speech titled ‘Seduction on Stage’ raising many ideas. He highlighted the fact that power posing affects our mind and in turn, our mind affects our body language. 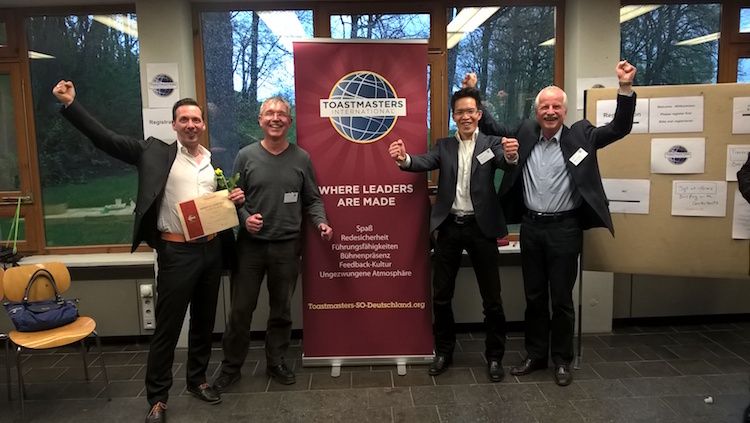 It’s no wonder Nuremberg Toastmasters club members showed powerful body language when posing for photos. The division 95 I conference was once again well worth visiting. Congratulations to the organising team headed by Division 95 I Director Franziska Gröhn, you all did an excellent job in the planning and running of the conference. If you would like to know more about the International Speech & Evaluation contests, Toastmasters International or what Nuremberg Toastmasters can offer you, we would be glad to welcome you to our next meeting. Please send a short email letting us know to our Vice President Membership – Alexander Theile. Come along and check out Toastmasters! ← Nuremberg Toastmasters Early Summer Hiking Tour in the Franconian Switzerland around Kasberg, on Sunday 10 April, 2016.